Reserve Your NJ Bouncer Rental Today! 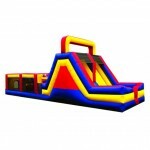 We specialize in NJ bouncer rental. Call us today to reserve yours! Ever wondering how to make your next party or event go down in neighborhood history? Try an NJ bouncer rental! Make your next family reunion even more memorable for adults and kids alike, or surprise your little one on their birthday with the bounce house or water slide of their dreams; trust us, their friends won’t be able to stop talking about it. Comments Off on Reserve Your NJ Bouncer Rental Today! NJ Water slide rentals are the ultimate in hot weather, cool fun! NJ Bounce House Rental makes for the perfect party. 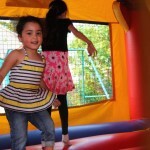 Making the most of your NJ Bounce House Rental can help create the perfect bounce house party. After years of observing some fabulous parties, we’ve gotten to see what works and what doesn’t. 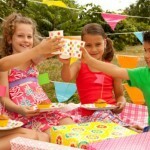 We’ve compiled a list of our top tips to help our current and future customers have the best bounce house party ever! Inflatables were already the number 1 source of kid approved fun, but things just got a whole lot better! The winter is perfect time to get started on planning your next event. Inflatable rentals are very busy in the spring, summer and fall. Many times your rental may be unavailable because we are all booked. Book early and secure your rental. 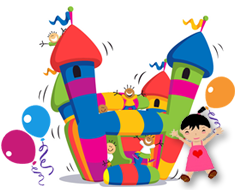 The Combos, bounce houses, obstacle course are great entertainment for little and big children of all ages. We always get the same feedback, that is, your bouncer kept our kids busy the entire party.